I don't know about you, but I was exhausted on Monday morning after staying up to watch the Oscars. My girlfriends and I get together to watch them every year but with busy weekends, it's sometimes hard to find the time to whip up a tasty appetizer. Today I'm sharing my top 3 favorite appetizers you can whip up in a time crunch! Break the dough into smaller pieces and press into a muffin pan. Bake until golden brown. The dough will rise so press it down with a spoon while it's still warm. Scoop a spoonful of hummus and top with the cucumber and tomato. Done! 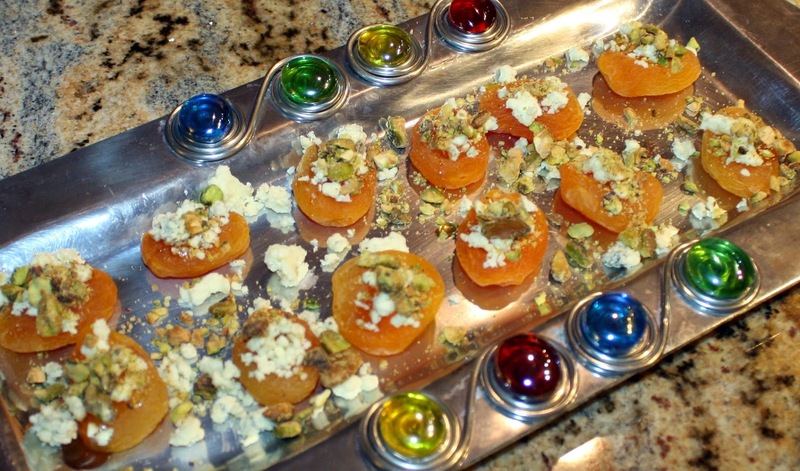 Top the apricot with the blue cheese and pistachio. Drizzle with honey. Enjoy! I originally found this recipe here. 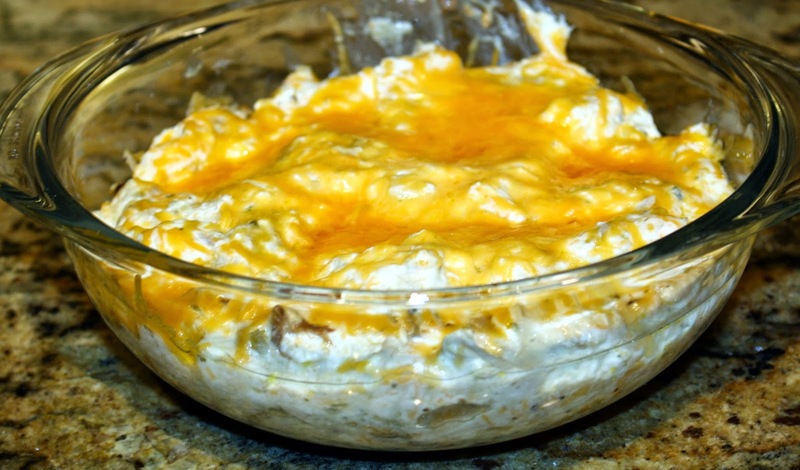 This dip is served warm and is always a crowd pleaser! 1 1/2 cups of shredded chicken (the original recipe uses rotisserie chicken but I use whatever we have on hand, cook it and shred it up). Combine all ingredients and spread evenly into a 8 x 8 inch glass dish. Sprinkle reserved cheddar cheese on top. Bake at 350 degrees for 30 minutes. Serve with tortilla chips. Junior Mints, Twizzlers and popcorn go hand in hand with movies so I made sure there was plenty on hand! Who were your red carpet favorites? Let me know in the comments! 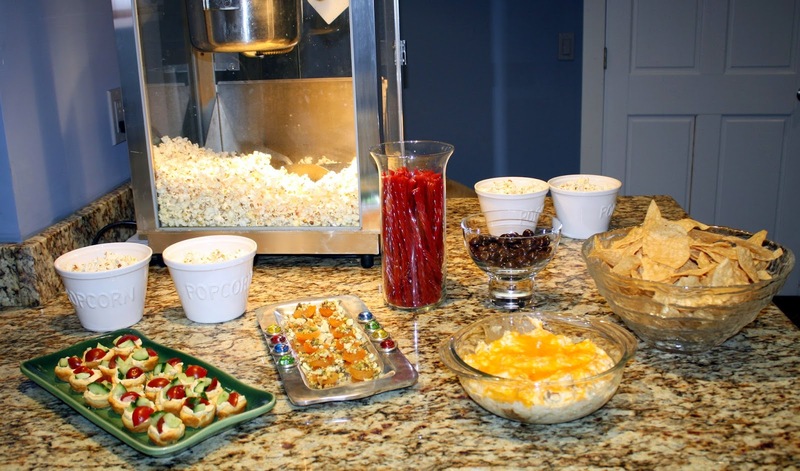 These sounds so yummy and easy to do, I wished I had an oscar party to attend. Those hummus cups look so delicious! I'm always looking for new appetizers to try out! Loving the hummus cups. It sounds pretty easy to make, too... which is my number one criteria for anything kitchen related. The hummus sounds really good! Those hummus cups sound fabulous! My family would love them:) Thanks for sharing! Have a great weekend, Jill! Great ideas! I am always at a loss when it comes to appetizers. These look so good! I love hummus, especially with some spiciness to it! These appetizers look tasty! That chicken dip looks so good! All of the ladies look gorgeous! Hummus is my all time favorite! Thanks for sharing! These all look so delicious!! The setup was so cute too! Love all of these easy appetizers! 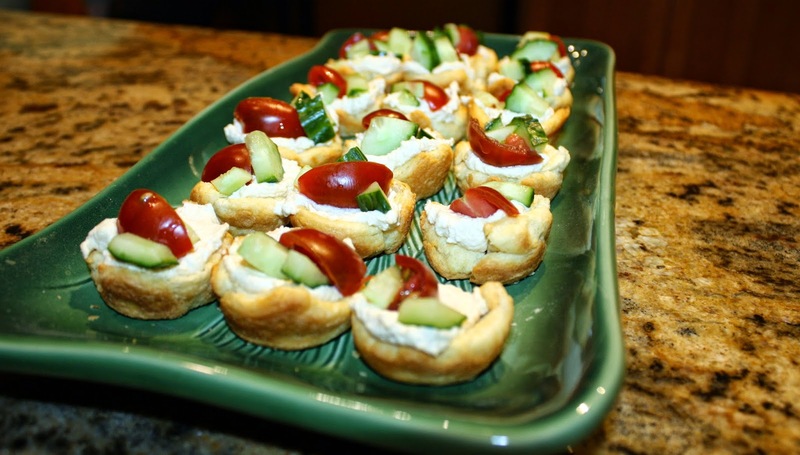 I'm definitely going to be trying the hummus cups :) Just found our blog and love it!! I love hummus! Rosamund Pike was probably my favorite - and a close second is Emma Stone. Such fun little appetizers! I didn't watch the Oscars... I know, I know.. tons of pretty dresses, though! Must try some of your great recipes!!! How fun to watch the Oscars with some girlfriends... and, wow... you whipped up all those treats in no time! Love that popcorn maker, too! Those apricot bites sound so good! I will have to make them soon! Thanks Christina! I'm glad you stopped by! There were so many amazing gowns this year! Thanks for stopping by! Thanks! It's so easy to make when you are pressed for time! All of these appetizers look so good - especially the one with Hummus. I'm definitely going to try those hummus cups! I'm always looking for app ideas that aren't overloaded with grease. I have a small chickpea obsession- I can't believe I never thought of using hummus! If you're interested, I'm starting a link party on Tuesdays over at my blog. It's a great opportunity to share your content and meet other awesome bloggers! I'd LOVE for you to share a post! These look incredible! I must try those hummus cups! The apricot bites look amazing - and like nothing my Italian friends here in Rome have seen! Def going to try them out. oooo that all sounds like a fabulous girls night and that chile chicken dip looks heavenly. Thank you for sharing these delicious recipes on "Bloggers Who Have Inspired Me' today. i seriously love, love apps and things. i will google them and plan out my next party. Looks like you girls had a wonderful time. That's such a good idea of getting all the girls together to watch the Oscars. Thanks so much for linking up to H54F! Thanks for letting me know about your linkup! I missed this week's but will try to make the linkup next week! Thank you Lory! I'm sorry I missed your link up this week but will link up next week! The hummus and the apricots look so tasty! And so simple too. Love that for an appetizer, because you're usually trying to welcome guests and get drinks around, and can't be messing with apps! Hope you have a great weekend! Thanks for linking up with us at H54F! Oh man, this post makes me hungry! I'm certain you picked all of the dresses, from the Oscars, that I would have picked!